The ability to modify the layout and look of your printed playbook can be accessed by clicking the Playbook Settings icon from the Preview tab. The Playbook Settings menu is where all of your playbook customization is going to take place. By default, the Playbook Settings menu is set to a streamlined, "Basic" layout that is designed for a quick and easy experience for new FastDraw users. If you are interested in taking advantage of the full array of customization options, however, then you will want to change to the "Advanced" Playbook Settings menu. From the top menu bar, open the File menu and select Program Settings, and then click on the Printing tab. At the bottom of this menu, check the option for "View Print Settings in 'Advanced' Mode"and then click OK. Now when you open the Playbook Settings menu again, you will see many more options. 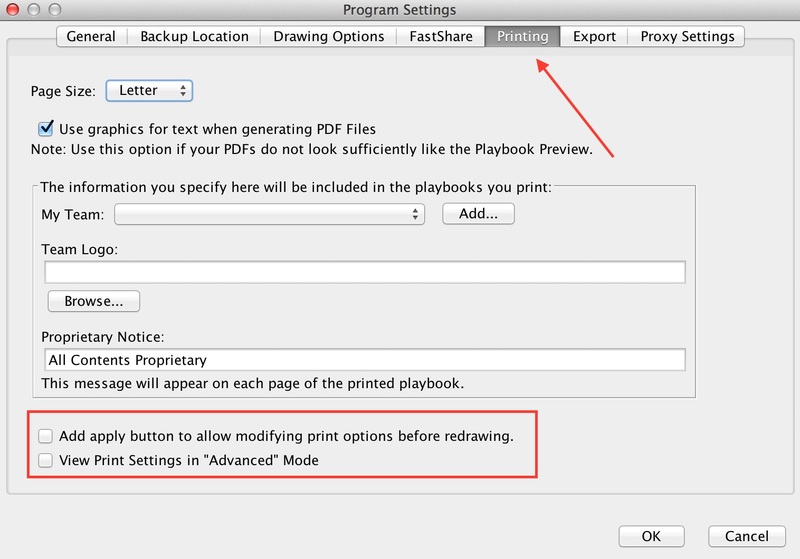 If you typically make a lot of changes to the layout of your playbook, we would also recommend checking the option for "Add apply button to allow modifying print options before redrawing". Normally when you change anything in the Playbook Settings menu, your playbook will immediately redraw with the new settings. With this option checked, the playbook will not be redrawn until you click the Apply button at the top of the menu. This speeds up the process by letting you make all of your changes at once before redrawing. At the top of the Playbook Settings menu, there are tabs for Playbook, Chapter, and Section. Playbook will always be selected by default, and being on the Playbook tab indicates that you are making global changes to the settings of your playbook. Every change that you make will affect each chapter and section in your playbook. By clicking the Chapter or Section tab, you will then be able to select individual chapters or sections to edit. Changes made to your selected chapter or section will not affect any other chapters or sections of the playbook. Additionally, any changes to a specific chapter will affect the sections within that chapter, unless otherwise edited from the Section tab. 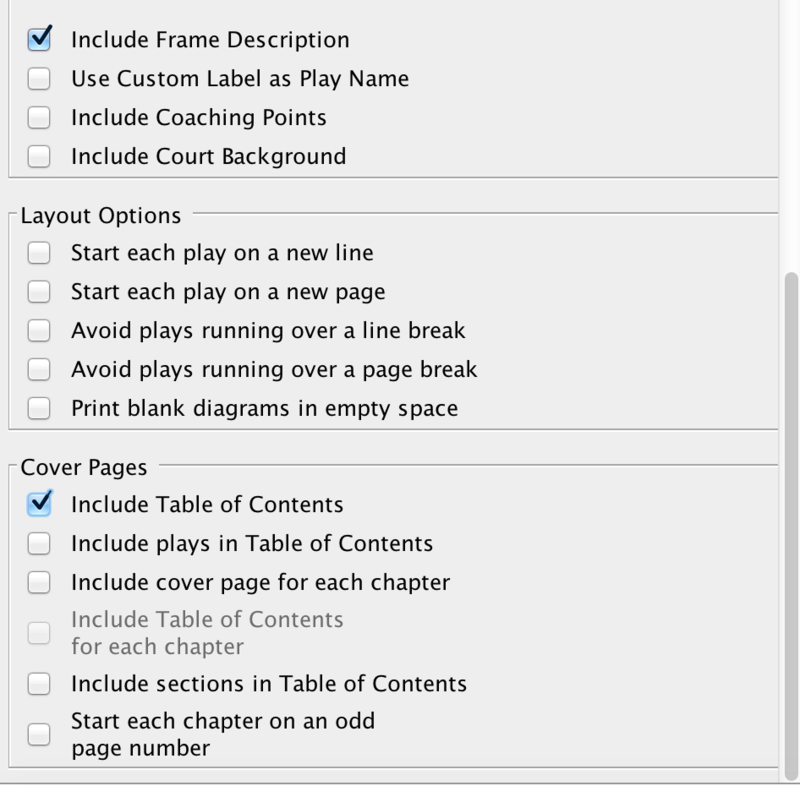 The Frame layout setting, which is available from the Play Options section of the Playbook Settings menu, gives you several different layout settings to choose from. The "Plain" setting gives you a standard grid layout with the description underneath, while the "Side-by-Side" layout gives the frame description next to the frame. In side-by-side, only one frame can be used per row. The Page Options section is where you will change the layout for everything other than the actual plays and diagrams in your playbook. Logo: While you have the option to browse for a logo from this menu, you can set your permanent team logo from the Program Settings menu. Go to the File menu in the top menu bar and select Program Settings to open the menu, and then open the Printing tab. You can edit My Team and Team Logo from this menu. Notice: This is a proprietary notice that can be added and can be customized from the same Program Settings menu. You can enter your own message here, or use the default message of "All Contents Proprietary". By scrolling down in the Playbook Settings menu, you will see a number of additional settings that can be toggled on and off. Include Frame Description: This is always turned on by default, and includes the frame description below each frame. You likely will not want this turned off unless you strictly want the frames to be displayed. 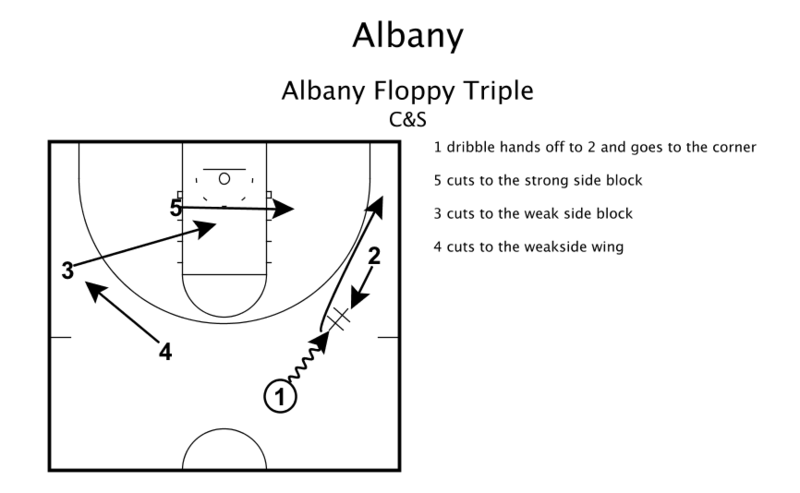 Include Coaching Points: This includes any notes written in the Coaching Points section, and places them at the bottom of the page underneath the play. More information on Coaching Points can be found here. Print blank diagrams in empty space: This fills out the rest of your page with blank diagrams if your play does not take up the whole page. For example, if your settings are 2×2 and you are printing a 3 frame diagram, the 4 frame on the page will be a blank diagram. 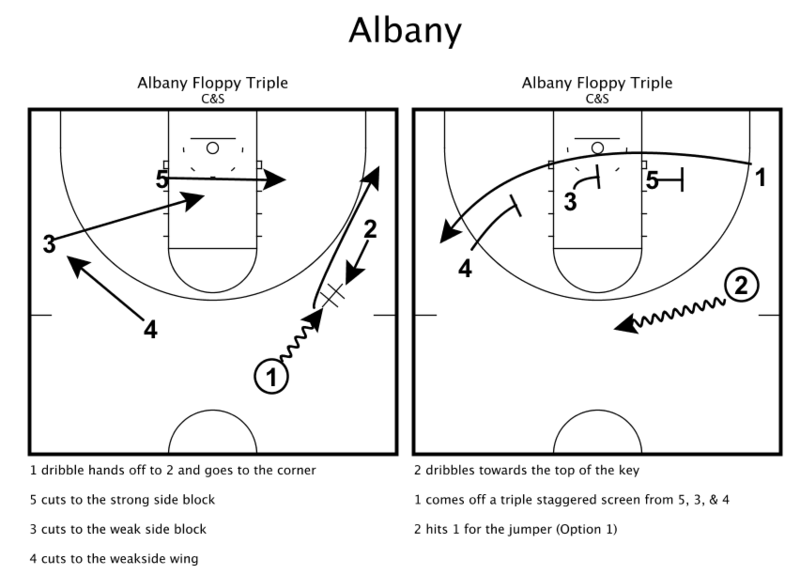 This is ideal if you would like each page to look the same, or if you would like blank diagrams for note taking on the court. 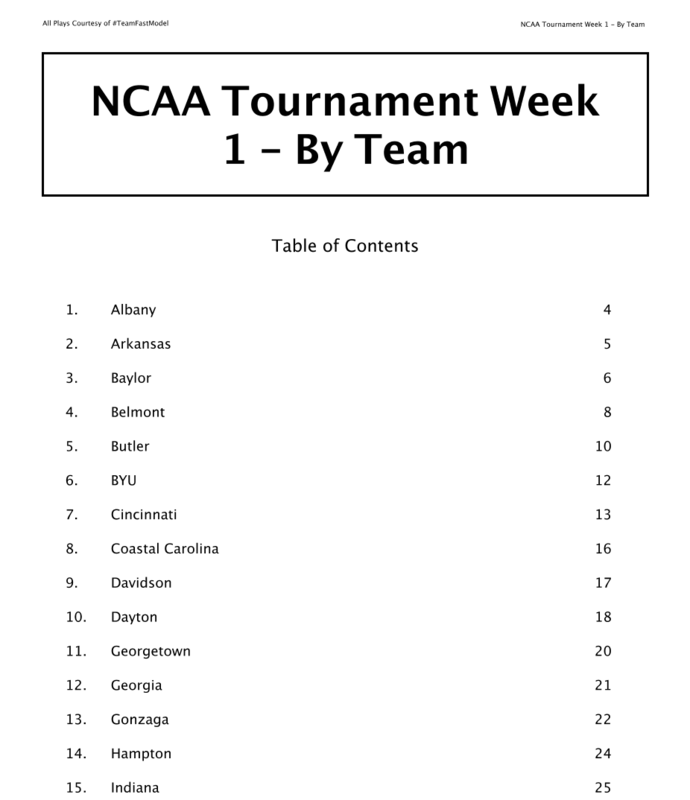 Include Table of Contents: For large playbooks, including a Table of Contents is a great way to add an organized, professional touch. If only the first option is checked, your Table of Contents will only list the page for each chapter. You can expand the Table of Contents to also include a list of the plays contained and also list each section.